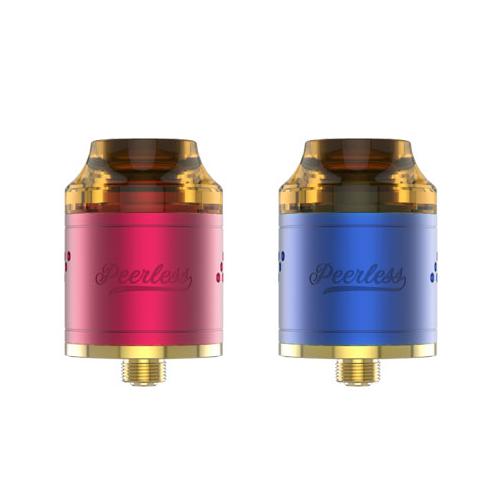 The Blizz 24mm RDA by E-Boss Vape launches a user-friendly rebuildable structure with high performance capability, deploying a gold-plated two-post, dual terminal build deck with two massive adjustable side airflow. 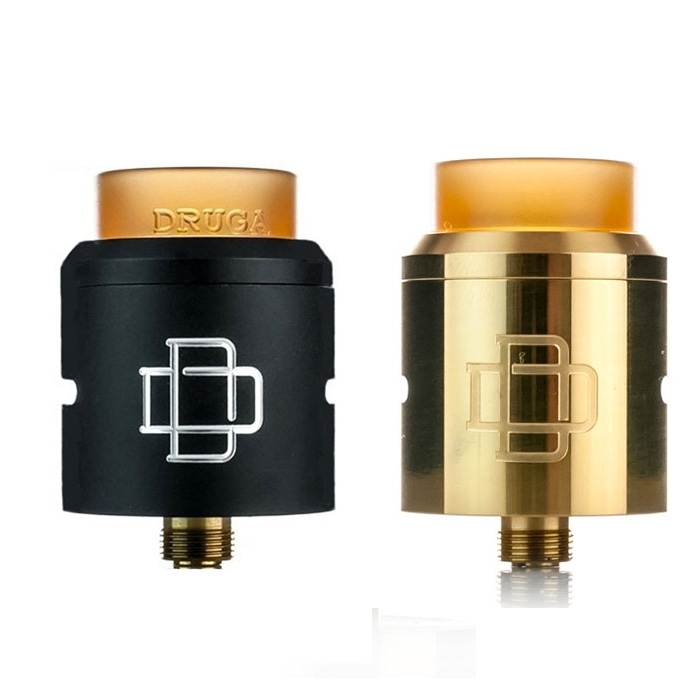 The Blizz 24mm RDA by E-Boss Vape launches a user-friendly rebuildable structure with high performance capability, deploying a gold-plated two-post, dual terminal build deck with two massive adjustable side airflow. 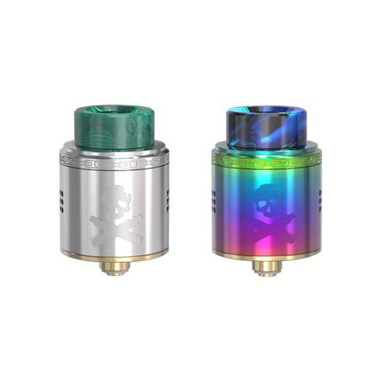 Durably constructed with 304 Stainless Steel, the Blizz RDA implements a streamlined design element with CNC engravings and a beautiful Resin widebore drip tip for a stunning finish. The marquee functionality features a unique two-post, dual terminal designs with a combination of side and top mounted slotted flathead screws for larger thread points and more secure attachment. The gold-plated build deck and copper-plated 510 connection ensures great conductivity, with spacious chamber clearance for high-power configurations. 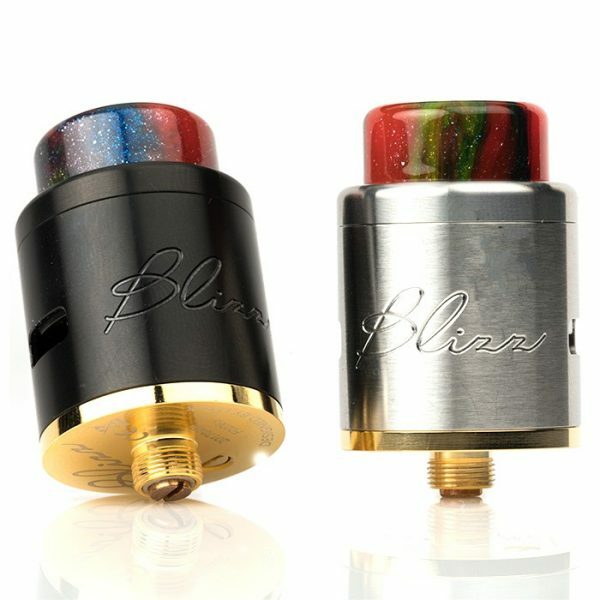 The juice well measures 5mm deep, allowing ample wicking saturation space for convenient application. Integrated into the wall sleeve are two massive airslots, measuring 8mm by 3.5mm per airslot to deliver massive airflow potential, working in synergy with the conical top cap for a smooth and flavorful experience. Presenting a striking showcase piece with a well-balanced rebuildable system, the Blizz 24mm RDA by E-Boss Vape is a worthy collection for dedicated builders.